I really love cherries. Fresh juicy ripe cherries. They are still in season and a tasty snack, but they are divine in this chicken salad. 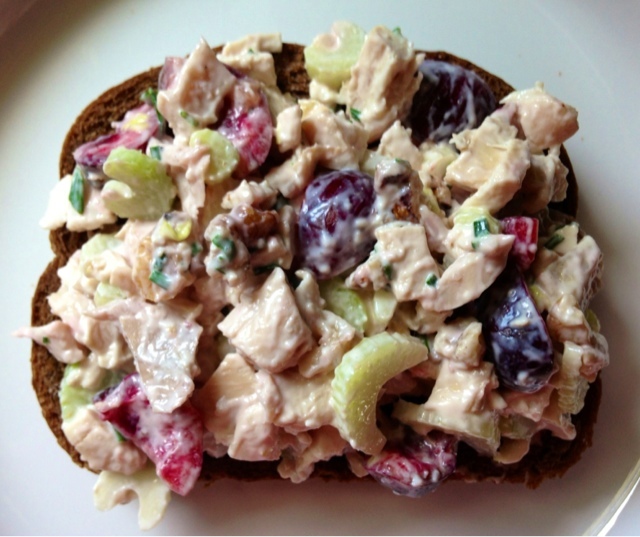 The perfect complement to the nutty walnut and the crunchy celery. 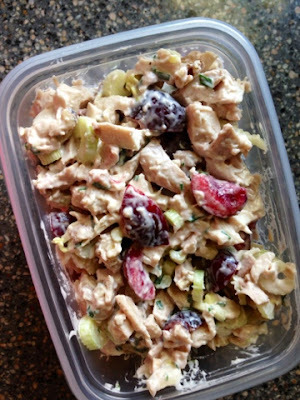 You can make this chicken salad with leftover chicken from dinner the night before, or you can purchase a rotisserie chicken for the sole purpose of making this delicious chicken salad. I've done both and its perfect either way. 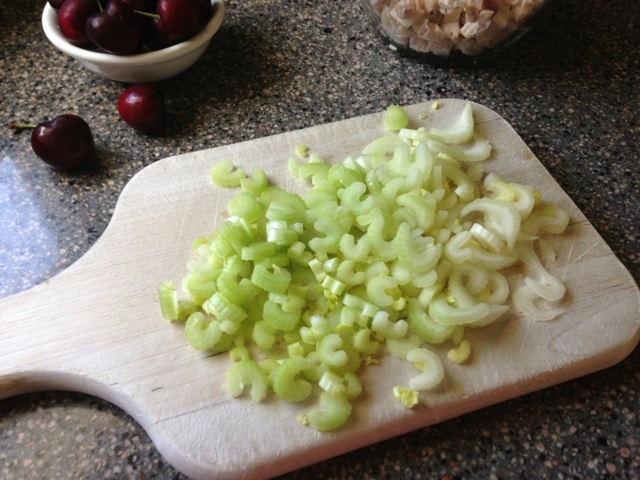 Slice your celery stalks into small little moons. The celery adds a nice fresh crunch to the salad. Add it the bowl. 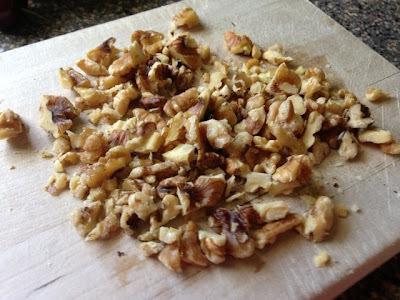 Chop your walnuts. I like to leave some pieces bigger. Add the nuts to your bowl. 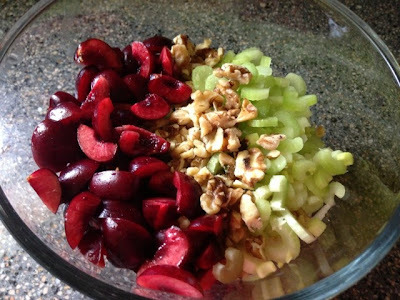 Wash your cherries and remove the stems. 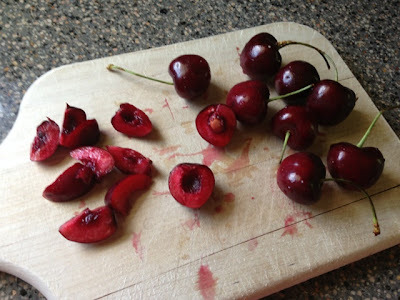 Now cut the cherries in half using a little paring knife and remove the pit. This can be kind of messy. If you would rather, you can do it the lazy way and just cut on both sides of the pit and discard the middle. 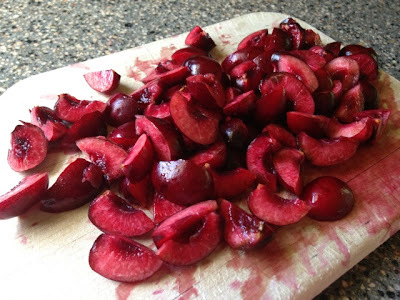 You can cut your cherries into smaller pieces or leave them in halves. Add 'em to the bowl. 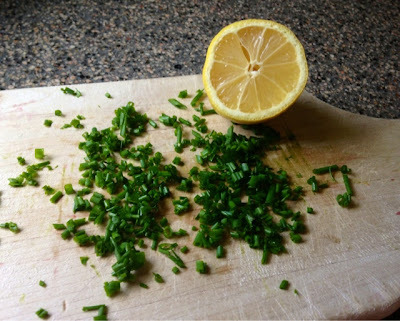 I've made this with both parsley and chives, or just one or the other. You really need the color and freshness from the herbs in this salad. I like the mild onion taste of the chives and they are growing in my herb garden so that is what I used today. I also like to add a little citrus to brighten the flavors. The juice of half a lemon is perfect. 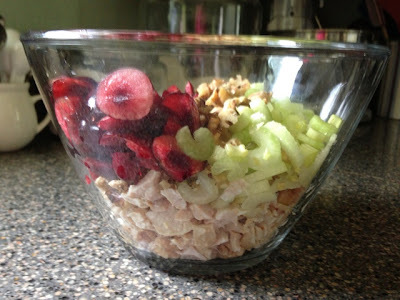 Add these to the bowl with everything else. This salad is an art, is it not? Add the mayo and salt and pepper and mix everything together. You can feel free to use plain Greek yogurt in place of the mayo if you want. 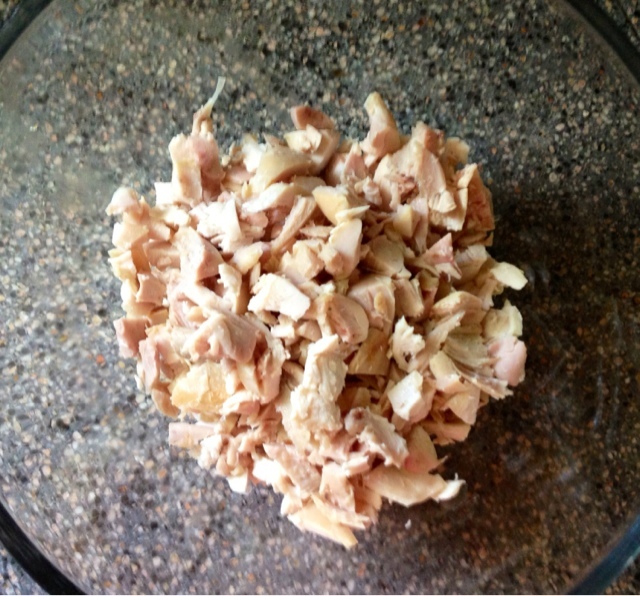 This makes about 4 generous servings, so the mayo works out to be about 1 tablespoon per serving. Serve on your favorite sandwich bread or roll. My hubby had his on pumpernickel bread. I enjoyed mine sans bread and it was so good. 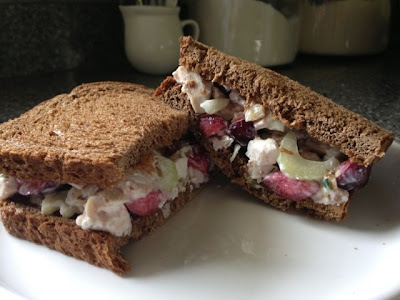 This is the type of fancy chicken salad you savor each bite you take. I always make plenty because it stays good for a couple days in the fridge. 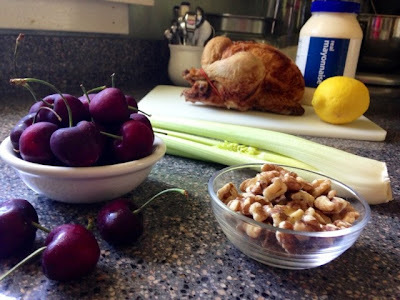 The cherries add a great burst of flavor that I can't get enough of. I am going to be sad when cherry season is over! I am thinking this might taste good with dried cherries in the off-season. This would be a great salad to entertain with too on little crescent rolls.